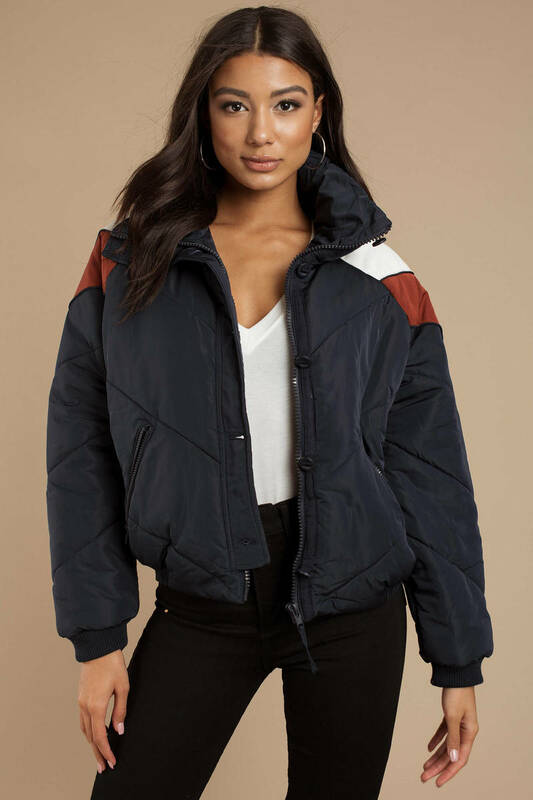 Check out Tobi's Heidi Ski Puffer Jacket Whoever said you couldn’t look hot while staying warm clearly hasn’t seen the Free People Heidi Navy Ski Puffer Jacket. 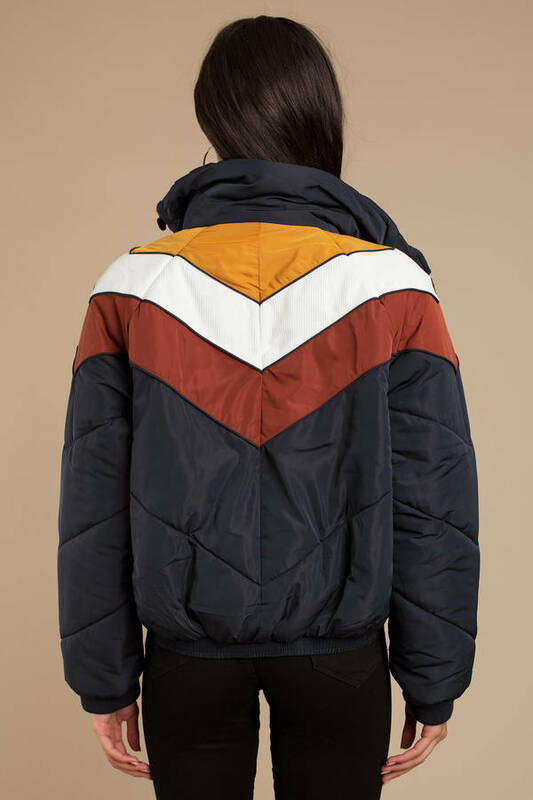 This short puffer coat sports a zipper buttoned front, a smocked waistband, chevron detailing, and intricate quilting to bring together a chic and retro vibe. You’ll never have to choose between being fabulous and beating the cold ever again. 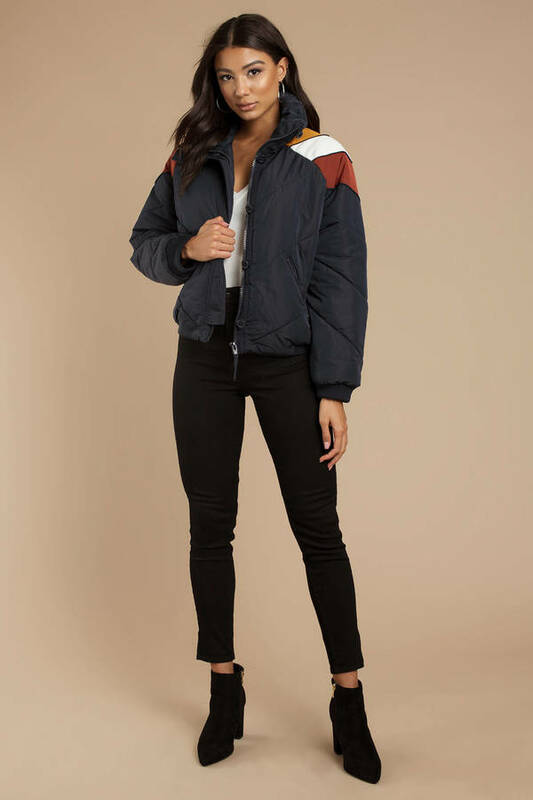 Whoever said you couldn’t look hot while staying warm clearly hasn’t seen the Free People Heidi Navy Ski Puffer Jacket. 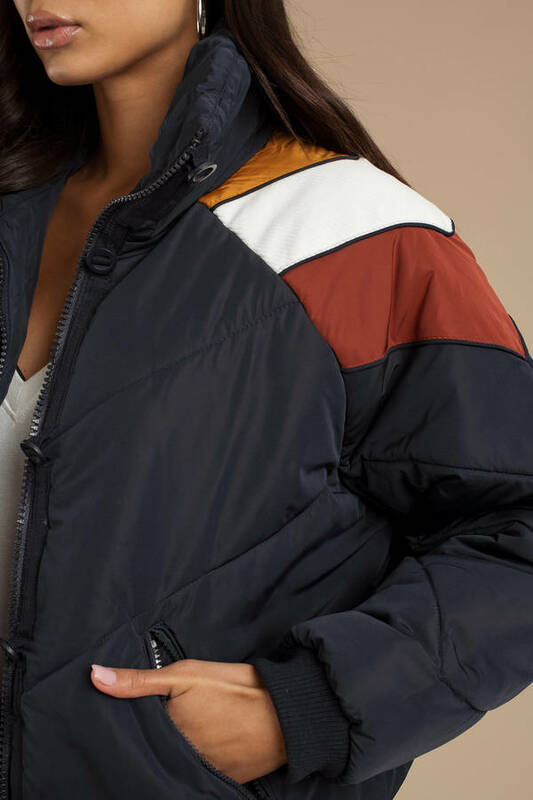 This short puffer coat sports a zipper buttoned front, a smocked waistband, chevron detailing, and intricate quilting to bring together a chic and retro vibe. You’ll never have to choose between being fabulous and beating the cold ever again. Wash and store this puffer jacket appropriately to maintain its chic and fabulous look. Don’t let the coat wear you! Buy the navy puffer jacket in your size.